Many cities in the world have huge debates on how to build tramtracks or even how to even start to build it. Last week, Distrita visited the tram on Tenerife and this week we released an article about the tram on Tenerife island that runs between Santa Cruz and La Laguna. In this article, I want to look at how brilliant the solution that Tranvia de Tenerife choose to go for. 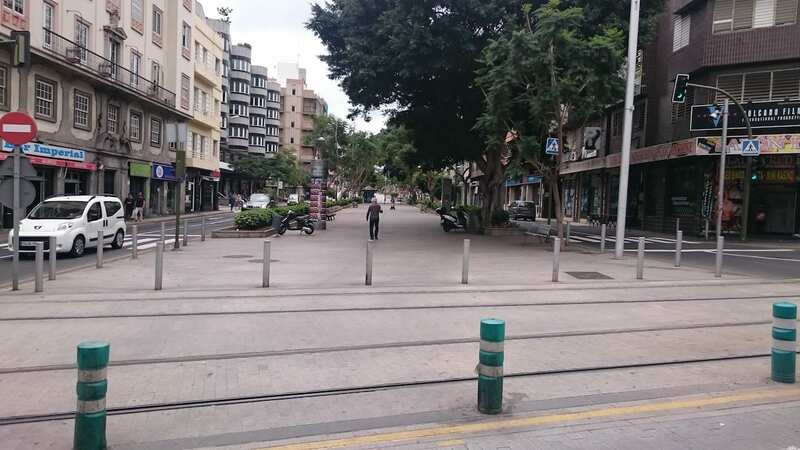 With a population of around 330 000 in Santa Cruz and half of that in La Laguna it was a wise choice to go for “the only” tram solution on the Canary Islands. 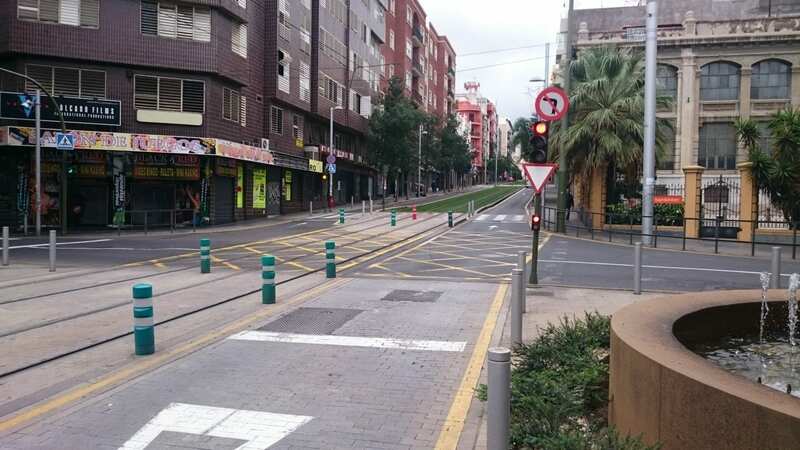 Read on for my thoughts on why the tramtracks are built the right way on Tenerife and why this model should be used by other cities that builds tram networks. 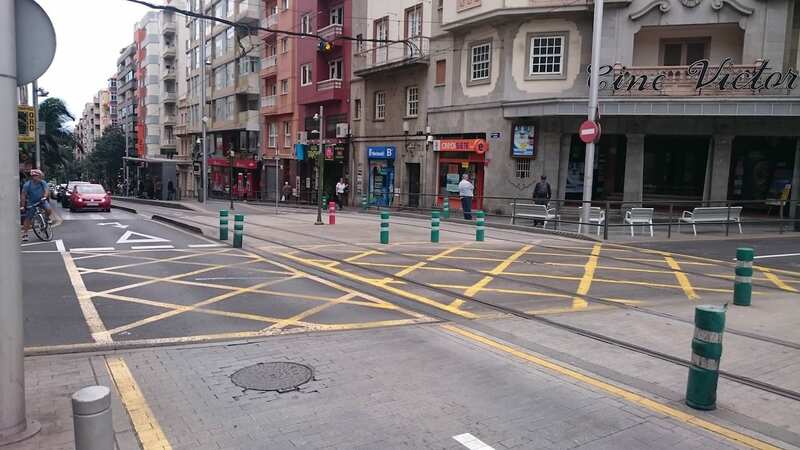 By deviding the road into lanes for road and tram traffic, like the one above with one is brilliant. They also managed showing clearly where cars shouldnt run, so there is little or no confusion at all for the car drivers. 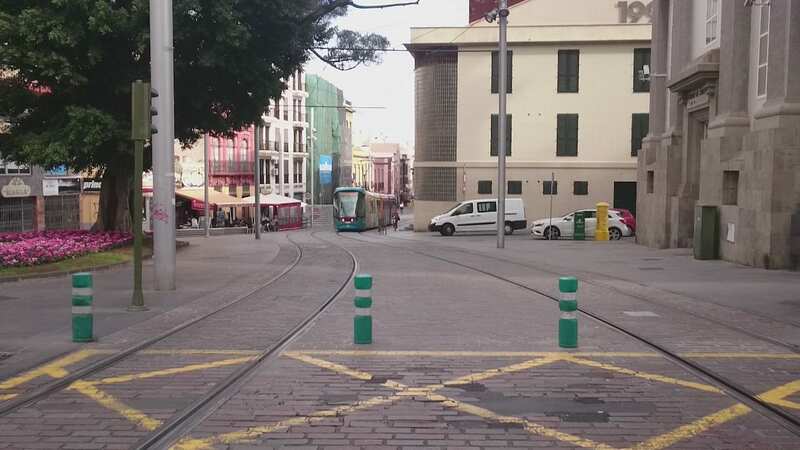 The busses on Tenerife also never stops at the same place where the trams runs, so there is never a tram that got stuck behind a bus in this solution etc. 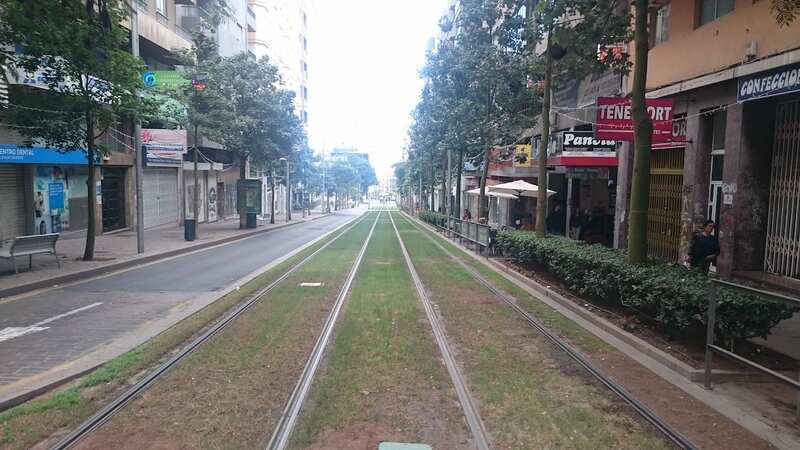 Why does trams have to run on asphalt in the centre of towns, when gras makes the difference. Going by public transportation should always be about comfort. Not just the ones riding it, but also people living around it. Here Tranvia de Tenerife have done an excellent work for sure. The trams are trains. They aren’t a bus, but they fit in a town because they can be much longer “buses” and take many more passengers than the longest bus even. If city builders put the tramway tracks on asphalt and let the busses share the paths, it will make cues, more stress and less enviromently air. 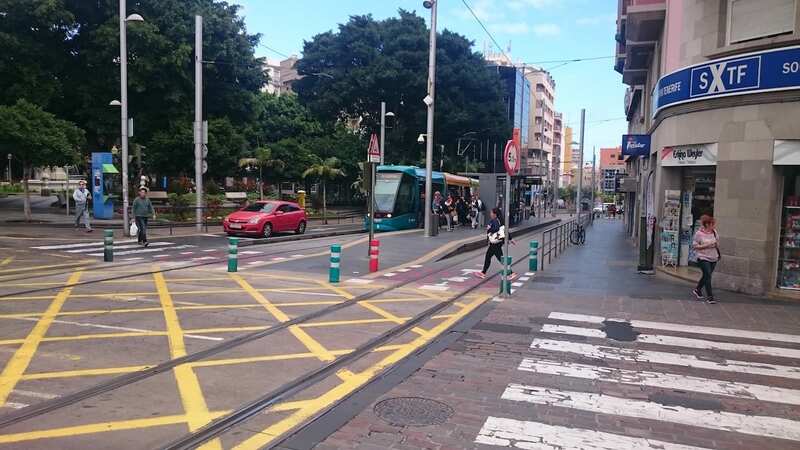 Some cities tend to build tram tunnels etc, which is great but for others the Tranvia de Tenerife solution is absolutely a model for how to build. The best solution is to put busses on one road, trams on another road and cars on yet another road, with the trams and bus roads also accessible by Police or Ambulance or Goods transport etc for a short time. Oslo, Gothenburg, Brussel, Berlin and many other cities with tram systems that shares the road with busses and cars should really look into this solution. I could breath in Santa Cruz! I could feel more alive with less cars around me and seeing that tram which doesnt pollute at all is pretty great feeling also. So, look at your tram towns roads. Maybe you can push your politicians in your town to do something?